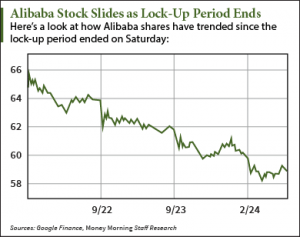 The lock-up period on $105 billion worth of Alibaba Group Holding Ltd. (NYSE: BABA) stock ended on Saturday. 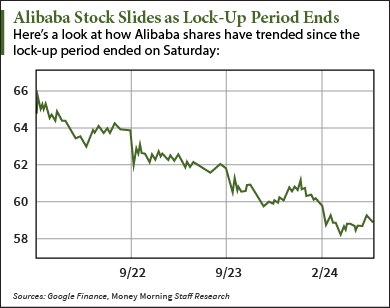 Since markets opened on Monday, the Alibaba stock price has dropped more than 8.8%. A lock-up period refers to a specified amount of time in which initial institutional investors must hold onto the stock following an IPO. The lockup can last 90, 180, or in this case, 365 days from the initial public offering. 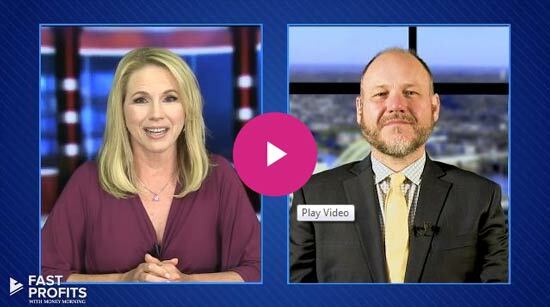 After the lock-up ends, those institutional investors are allowed to sell their shares. This is just the latest news to send the Alibaba stock price down. Throughout the summer, a slowing Chinese economy and volatility in China's stock market have contributed to downward pressure on Alibaba stock. The Alibaba stock price also tumbled after a bearish report from Barron's reported the e-commerce stock could fall as low as $30 per share. The report cited Chinese economic struggles, increased e-commerce competition, and the company's unique corporate governance as reasons the stock will continue to fall. The Alibaba stock price is now down 30.9% in the last three months and 51.7% from its November 2014 high of $120 per share.